Block Screening Pics Of "Para Sa Hopeless Romantic"
This is the line to the Robinsons Cinema. Crazy right? I was invited by a blogger friend Iyane of D'Sweetbox who's got friends from the fan clubs of JaDine. 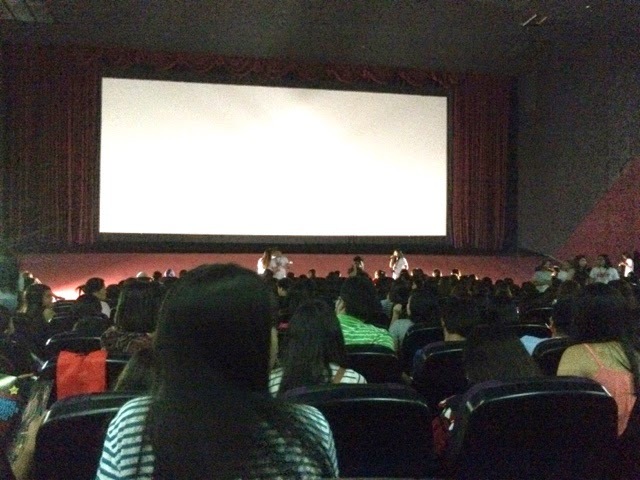 They were holding a block screening for their idols James Reid and Nadine Lustre who's starring in the film "Para Sa Hopeless Romantic" which is produced by Star Cinema and Viva Films. It's been a while since I've watched a Fillipino film and this was a treat so I went to the Robinsons Galleria leg and expected a bunch of teens running around crazy for these superb teen stars. I found them very accommodating and nice, going the mile of even having us led to our seats before the film started. The lines were CRAZY. Every one was in a festive and exciting mood because they'll see their idols on silver screen again based from the best selling book of Marcelo Santos III. He's a good chap by the way and we were just a few seats apart. I liked the book and I was somehow expecting the flow of the story to be quite similar in my head. Direk Andoy Ranay must have really worked the screenplays to impose a lengthy read into a movie, because remember this could only last an hour or more. Aside from that, I had the notion of seeing James and Nadine again as most Star Cinema movies usually have their stars drop by events like these. They were so nice during our last talk in the Viva Offices, I was really here to see the reactions of the fans seeing the whole story unfold before their eyes. I was right! They all liked it. It was said in a manner where the story didn't veer away from the book with some minor changes. Overall, the movie was really for kicks. Something that would remind you to believe in FOREVER again, if you forgot it along the way. Oh and you'll definitely like the LAST SCENE. I bet a lot would even do that in the next few years, haha! 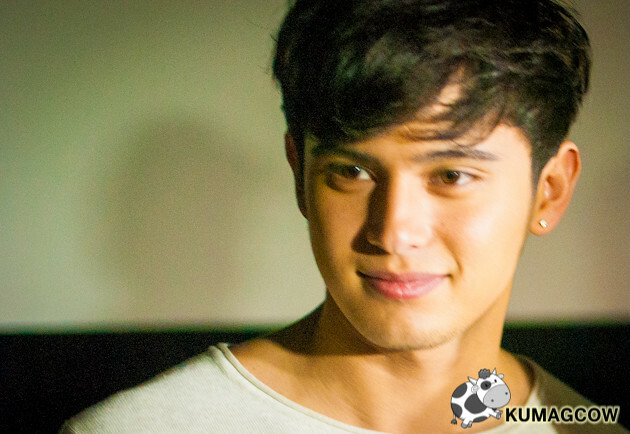 Anyway, here's some gorgeous photos of James Reid, Nadine Lustre and Marcelo Santos III during the screening. Enjoy! When he arrived, I thought he was going to be alone. I didn't really see Nadine in the crowd because I think she was hiding together with some of the organizers. I was right. 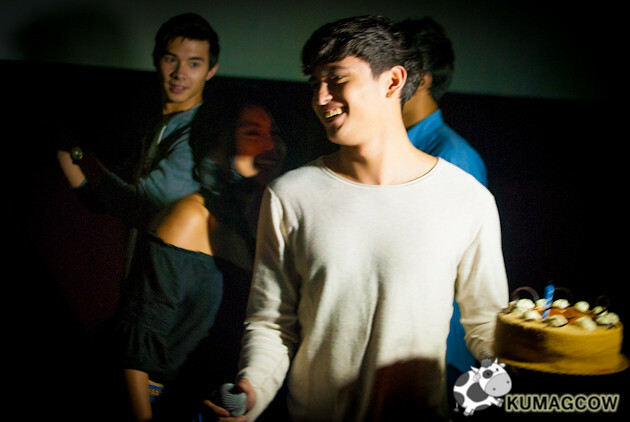 She was there and Nadine carried a cake to surprise James since it's also his birthday. They read the corresponding note that was given to them by their adoring fans and friends. I remember James told be they didn't really treat them as fans, rather friends because he also wants to be near them during an interview in the past. Man, some of them went screaming and running in front literally. 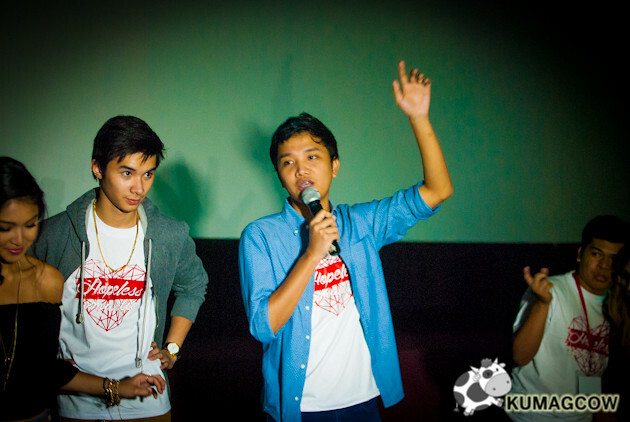 Book author Marcelo Santos III went on front and said "Thank You" to everyone who supported the book, and this movie. That was a really good gesture, he even brought his younger brother and Father to watch the film. They were seated right beside me. James and Nadine also began thanking their loyal fans for their unwavering support and said they wouldn't be here without them, so true, so true. They remain quite humble despite the large amount of attention that's been given to them. As for the film, I would say it's very simple. It's not to fancy or highfaluting. I specifically like the character of Shy Carlos who did a stupendous job bringing in laughter in almost all her scenes with Nadine as her confidant. You'll enjoy that part. I don't wanna spoil it for the others who haven't seen it yet. I don't know the name of this guy right here but he's going to play a big part in the relationship of Julia and Inigo. Their story is the story inside the story. Confusing? It's another thing to actually understand while watching the film. Nadine was so nice too. She started giving a heartfelt thanks to everyone who organized this block screening. They probably worked hard to make it this successful. As for the birthday boy.. I guess he's happy he's got Nadine beside him. 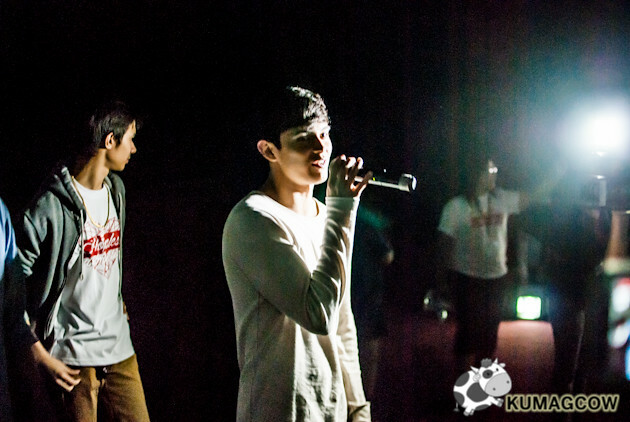 Thank you again to the organizers who accommodated us in this screening. Stay there and support JaDine all the way! ;) You can see more photos here and here.